This Canadian production from filmmaker Jamie Kastner tells the story of Ishmael Muslim Ali, an American Vietnam vet convicted of killing eight people on a Rockefeller-owned golf course in the U.S. Virgin Islands who, after trying for years to get his conviction overturned, took matters into his own hands and hijacked an American Airlines plan full of passengers and forced the pilot to fly him to Cuba where, to this day, he continues to live. Given full access to Ali, who is interviewed throughout the film, Kastner has crafted a feature-length documentary somewhat in the tradition of recent true crime docs, though this film offers little in the way of surprising revelation or alternative evidence other than Ali himself, a charismatic man who considers himself more rebel than criminal yet whose words, if listened to closely, actually do little to support his argument. Picked up by indie distributor Strand Releasing for a limited nationwide release, The Skyjacker's Tale opens up this 4th of July weekend in New York at the Village East with a nationwide release to follow on July 14th that includes Laemmle's Monica Film Center. At a mere 76 minutes running time, The Skyjacker's Tale moves rather quickly in re-examining his original trial, the most involving section of the film, and ultimately takes sides with Ali in a case that had more than subtle hints of racism and police corruption. The story itself in The Skyjacker's Tale is a pretty remarkable tale that is not actually that familiar to most Americans, though Kastner's ill-advised usage of re-enactments does nothing to enhance the story and, at times, actually hinders it. This is especially true during scenes re-enacting the actual hijacking with airplane sequences, mostly external shots, that were so laughably godawful that I found myself laughing when I should have been alarmed. It's rather early on that The Skyjacker's Tale begins to feel biased, certainly not a fatal flaw but a noteworthy choice given nothing in the material presented really is convincing enough to warrant siding with Ali. 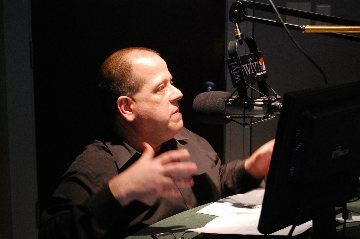 While one might argue that "reasonable doubt" could enter the mind and that racism may have stripped that away, there's also more than a little bit of a distinct possibility that Kastner's giving voice to a rebel meets madman who, at minimum, actually did hijack a plan and risk numerous lives in the process. Not exactly innocent, ya' know? The Skyjacker's Tale doesn't exactly make for riveting cinema, though it does present an involving and original story with a wealth of interviews that include Ali and some of the key players involved in the case. If you are into "real crime" docs, The Skyjacker's Tale is worth the time. Check it out if you get a chance.